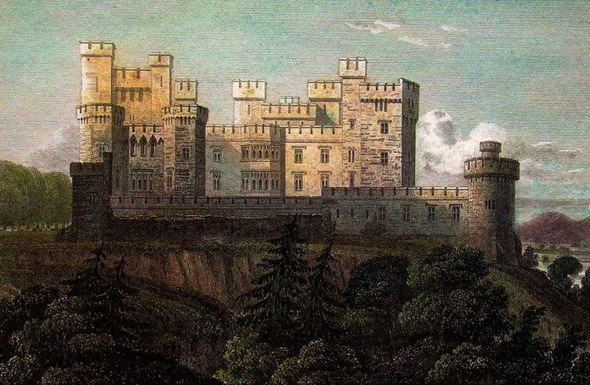 In 1823, after his succession to his title, George, 3rd Earl of Kingston, demolished the previous Palladian house and replaced it with a new castle designed by James and George Richard Pain. 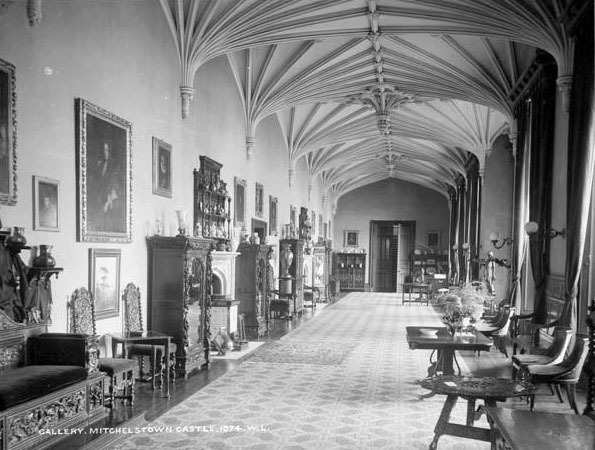 With 60 principal and 20 minor rooms, a 100-foot-long gallery, three libraries, morning room, dining room (which could seat 100 guests at one sitting), it was the largest neo-Gothic house in Ireland. Costing over £100,000 to build, it quickly inspired other major Irish castles such as Strancally Castle and Dromoland Castle. Unfortunately, the 100,000 acre Mitchelstown Estate ran into considerable financial difficulties which, after the Great Famine of 1845-1851, forced its owners to sell 70,000 acres. Further difficulties arose as a result of internal family squabbling, legal disputes and the Land War of the 1880s. In June 1922, the castle was occupied by the Irish Republican Army. Over the next few weeks the castle was held by the Republicans who appeared to be preparing it for some kind of siege. However, in early August, the contents of the building were taken by the Republicans. 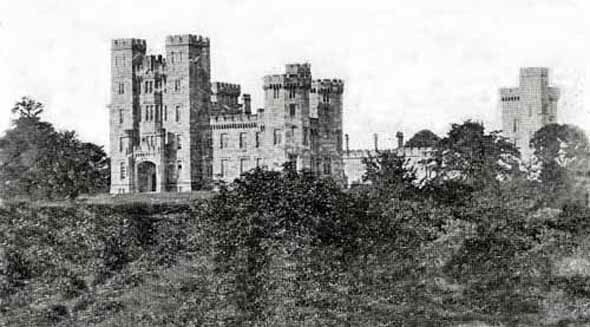 On 12 August 1922, Mitchelstown Castle was burned on the orders of a local Republican leader. 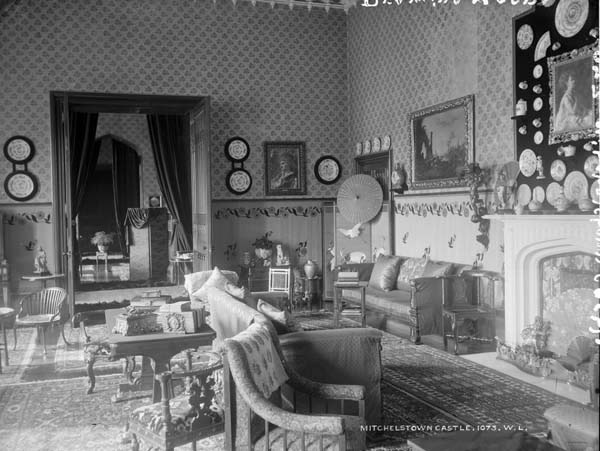 Afterwards, the owner William Downes Webber sought compensation from the Irish Free State totalling £149,000 for rebuilding and £18,000 for contents. He intended to rebuild if sufficient compensation was provided. After his death in 1924, Colonel W.A. King-Harman pursued the claim in the Irish courts. 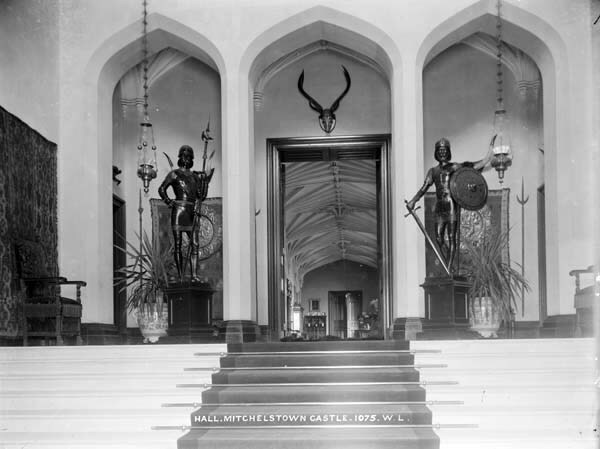 Judge Kenny, in the Irish High Court in 1926, stated that the destruction of Mitchelstown Castle had been an act of wanton destruction which had no military purpose. He awarded £27,500 for the building and £18,000 for the contents. As this wasn’t viewed as enough to rebuild the castle, the plan was dropped. The stones of Mitchelstown Castle were subsequently sold to the Cistercian monks of Mount Melleray Abbey, County Waterford, who used them to build a new abbey. In the 1940s, Mitchelstown Co-operative Agricultural Society built a milk processing factory on the site of the castle, which still operates today.